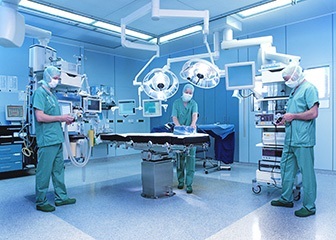 If you are opening a surgery center or buying new medical equipment for an existing facility, you are likely wondering what type of operating room table to buy as well as where to buy it. Shopping around is always smart when it comes to purchasing such an investment, so how do you know what O.R. table is right for your hospital or health care facility? By asking yourself the following two questions, you may find that outfitting a hospital or surgery center with the proper operating room table(s) is not as difficult or costly as you might have surmised. 1) What type of facility are you opening? 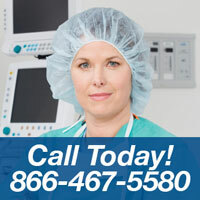 Will your facility be for several different types of surgical procedures or be primarily focused on providing one type? Will you benefit more from general surgery tables or specific types of tables such as orthopedic or spinal tables? Do you anticipate having patients of all shapes and sizes or just smaller patients, such a children? Once you have answered these questions, you have already narrowed down your options. For example, if your facility will house several different types of surgeries and procedures, you will probably want a general surgery table. If you’re going to be using a C-arm, you will need a C-arm table. If you are an orthopedic center, you will definitely need an orthopedic table, if you’re an OB/GYN, you will need an appropriate table to suit those needs, and so forth. Just as all facilities are different, there are many different tables to meet the wide ranging needs of surgeons as well as patients. 2) What is within the budget? Outfitting any medical facility is an investment and establishing a budget for the necessary medical equipment is a must. If the budget is relatively large and there is a desire for higher end, newer equipment, a table like the Skytron Hercules 6701 would be a prudent consideration. If the budget is smaller, a refurbished surgical table, like the Amsco 2080 manual control table may be more practical. Deciding where to buy your surgical table shouldn’t be complicated, either. There are several options when it comes to shopping around, but finding a company that sells quality, professionally refurbished and warranty backed equipment with outstanding customer service is just as important as finding the right table to fit your facility. So, where is a good place to start? We invite you to try Heartland Medical. Heartland Medical has been a leading name in refurbished hospital medical equipment for over 20 years. Our factory -trained biomedical technicians are experts at professionally refurbishing O.R. tables, which we then can sell to you at a fraction of the cost of a new one. So, if you are considering a new or refurbished O.R. table and would like to learn some options, please just click here to contact Heartland Medical. We can help you to equip your facility, regardless of size, with the best medical equipment that will keep your staff happy and productive.